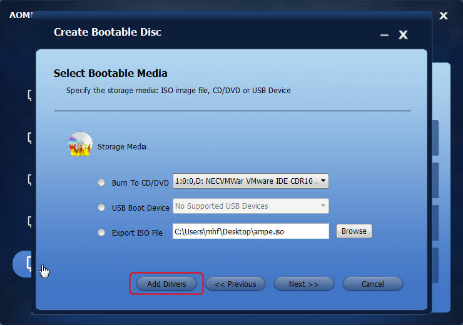 Under Windows or booting from Backupper bootable media, when you are going to select a drive as the source or destination location, the drive may be not recognized by Backupper or not recognized correctly. 1. Please make sure the drive is listed under Windows Disk Management. 2. Please check the type of this drive. Backupper doesn’t support eMMC storage device. Usually, most of tablet PC use the emmc storage device. 3. Please check whether or not the drive is 4096 bytes per sector. You can install and run Partition Assistant, then right click a partition on the drive--select Properties--File System Info to check it. Storage-->Disks-->check the Bytes/sector of the drive. 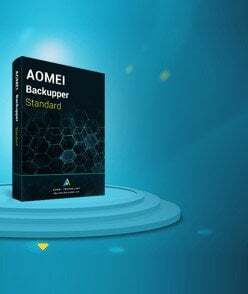 AOMEI Backupper doesn’t support backing up/cloning drives with 4096 bytes per sector. But, you can save the backup files to the drives. 4. Please check whether or not you have encrypted the drive. If so, please decrypt it. After completing the operation, you can encrypt it again. 5. Please check whether or not the drive is a dynamic disk. Backupper doesn’t support backing up/cloning dynamic disk by using Disk Backup/Disk Clone. 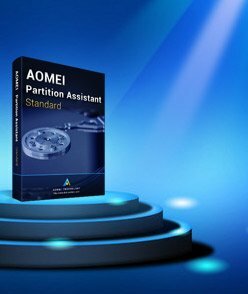 Please use System Backup/Partition Backup to back up it or System Clone/Partition Clone to clone it. The most likely reason is that the WinPE is lack the driver for the drive (such as RAID adaptor drivers). You need to make a new WinPE disk. When you are making it, you can add the corresponding driver to the WinPE manually.